Bratislava is a small city, but it is the center of Slovakia in the middle of Europe. Do a list of top 10 places to visit in Bratislava is pretty easy. This city has got so many places with a rich history and amazing past. But this city has also a recent independent history, that goes around all the sightseeing in the old town. 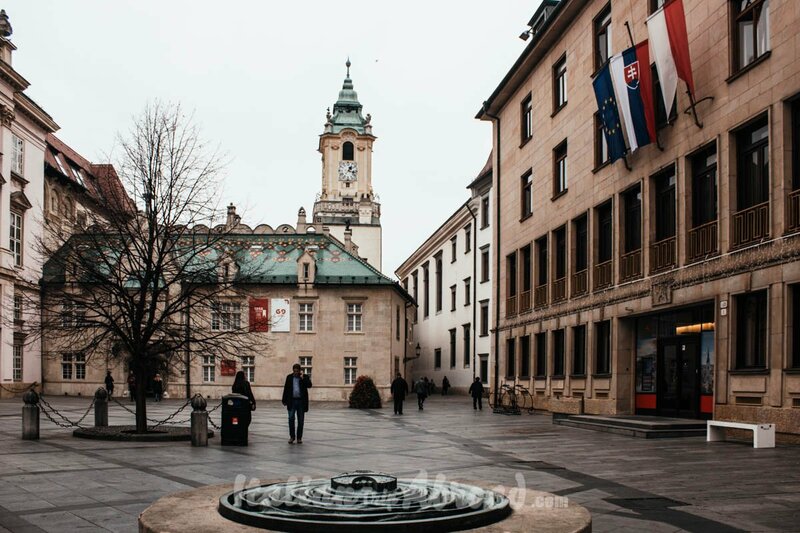 Spend one day in Bratislava is the best option for a day trip itinerary in Europe. Visit all the Bratislava attractions in one day is possible, trust us. It is true, Bratislava has a small city centre, but it is really traditional and give to the tourists the taste of Eastern Europe culture. 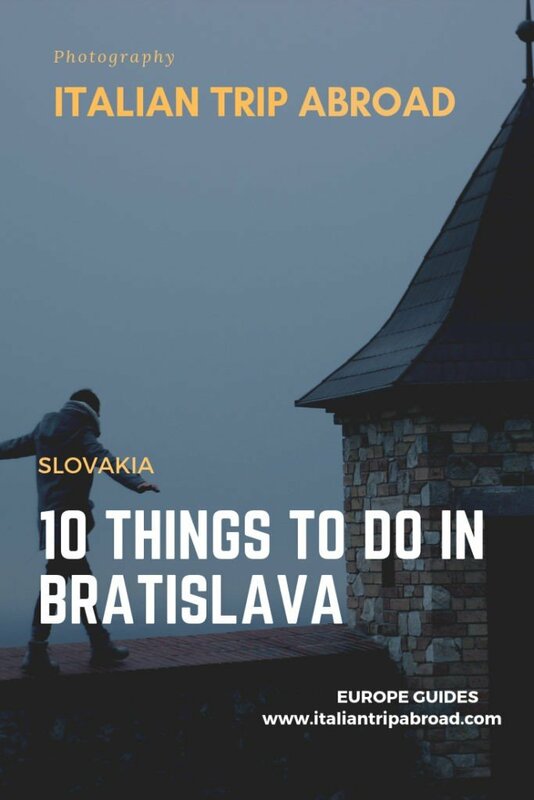 The top 10 places to visit in Bratislava will help you to plan in advance your two days in Bratislava or even just a day trip to Bratislava. 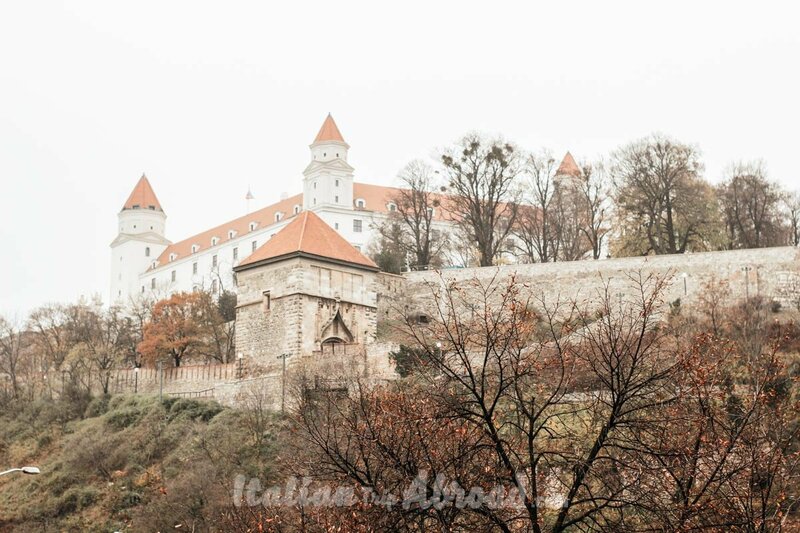 All you need to know about the Top 10 Places to visit in Bratislava is Here! Bratislava is a real compact city, with the great difference between the districts. So, do you are still looking about what to see in Bratislava? Below you will find a list of what to do in Bratislava and the main attractions in Bratislava. In less than 3 hours by bus, from the main bus station of Bratislava is possible to reach Budapest. With less than 10 euro, you will have the best day trip from Bratislava. We highly suggest climbing up the Old Town Hall, taking attention to the internal area, amazing and suggestive. Grassalovich Palace is situated on the Hodzovo namastie. The Blue church goes straight into the list of top 10 places to visit in Bratislava and even in the list of the Top places to visit in Europe. At the Synagogue of Bratislava, you can visit the Jewish Community Museum with a permanent exhibition “The Jews of Bratislava and their Heritage”. The UFO is a real landmark of Bratislava and it represents the Republic of Slovakia in the World Federation of Great Towers. The statue of Lamar is now on Sedlárska Street. Now, the Hubert is the most popular sparkling wine in Slovakia. Did you know that all around the Slovakia Capital there a lot of grapes tree? Here you go! 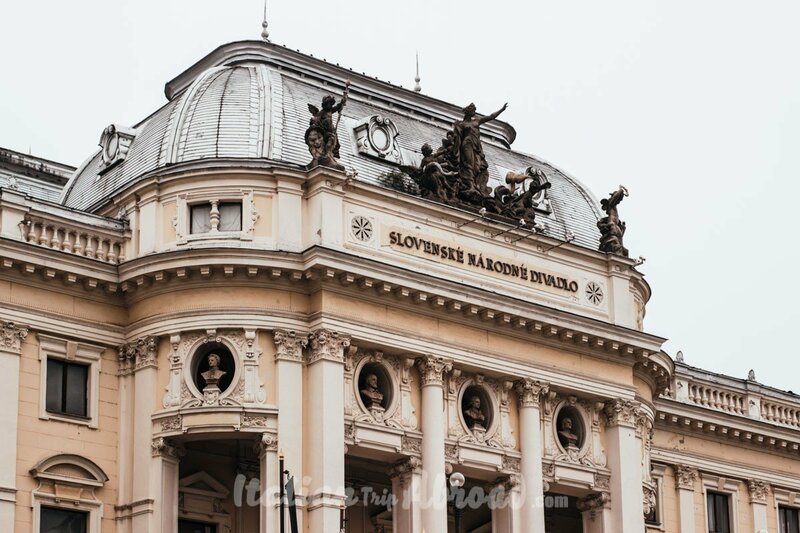 The National Theatre, located in Hviezdoslavovo Square is an iconic structure of Bratislava. Bratislava is a place in the middle of Europe, stopped at an old age. It seems to be in the past, far away from the western European Style, with more similarity with the Eastern one. Bratislava is in the middle of a beautiful triangle of Europe. It is just 70 kilometres away from Vienna in Austria, and more or less 200 Kilometres from Budapest. It seems Bratislava is overshadowed by its more well-known neighbours cities. Be overshadowed by Vienna and Budapest is not meaning is not worth to be visited. Bratislava is just one of the most recent cities entering in the list of the gems of Europe. 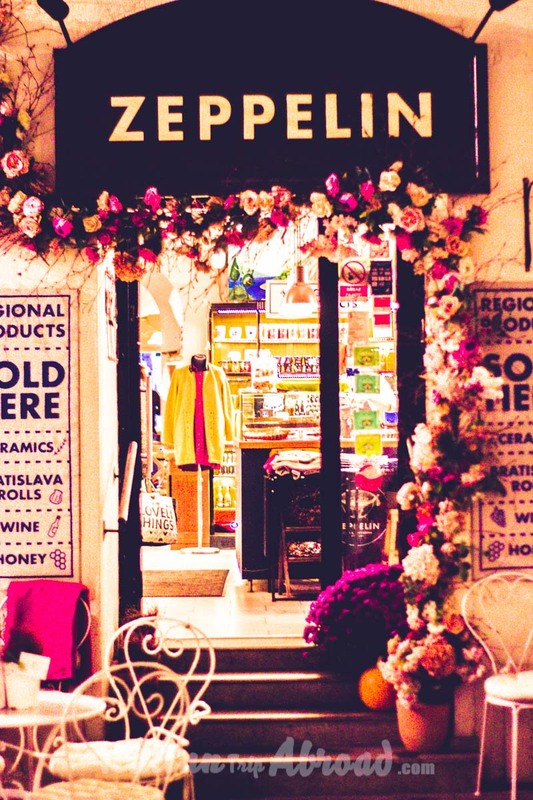 Despite Budapest, in Bratislava, you can pay with Euro, like in Vienna. There is a link between all the cities thanks to the river, the Danube. You can easily pass from typical buildings of the Russian invasion time to a most modern structure, like the Ufo on the main bridge. The accommodations in Bratislava are well-priced. It is a really good escape from the routine, with a relaxing two days in a calm capital in the centre of Europe. 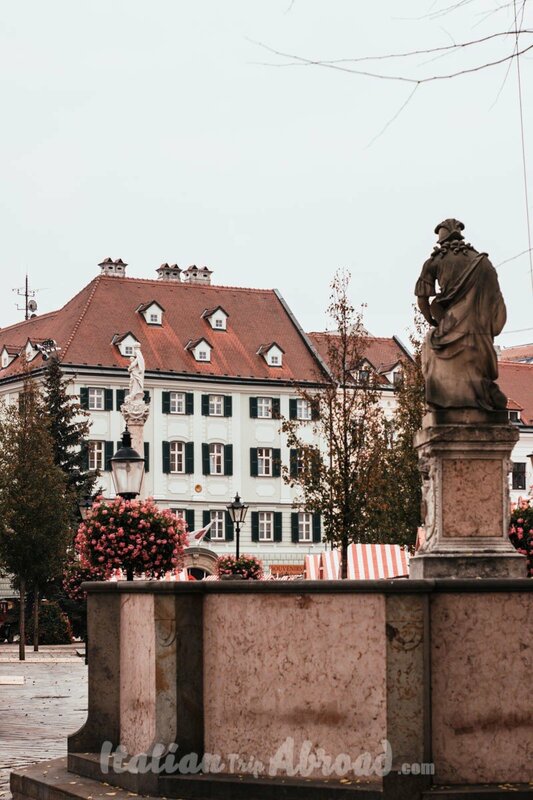 Check what to do on a Vienna to Bratislava day trip. Recently is also becoming famous the Bratislava stag to. Why don’t spend a couple of quiet days in the Slovakia Capital, visiting the main Bratislava tourist attractions. It is a small city, quiet yes, but your list of Bratislava things to do could be really long, trust us! It is the symbol of Bratislava, actually dividing the title with the UFO Tower on the top of the main bridge. The Bratislava Castle was completely refurbished in 2008, giving to the Castle a new charm with a brilliant white colour and great tidy gardens. The Castle of Bratislava is on the top of a hill. It is surrounded by all Bratislava landscapes. On a clear day from the top of this hill is even possible to see Vienna, just 50 Km away. Due Bratislava is really close to two borders, that make easy that you can see also the Hungarian border from the city Castle. Be on the top of the Hill give a clear Idea on how Bratislava was subject to attacks in the past. Today the Castle is the residence of the President of Slovakia, and venue of a lot of art gallery and gala events. The four towers of the castle are now on the euro coins of Slovakia, a symbol of the country. 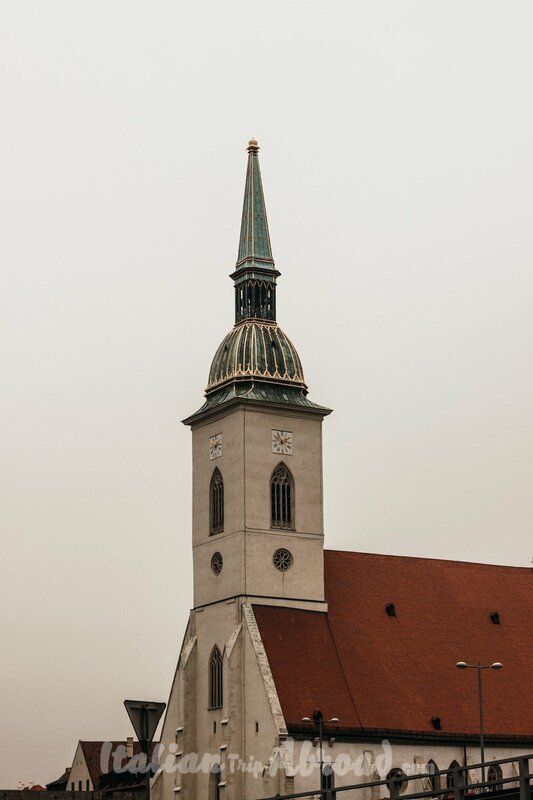 The St. Martin’s Cathedral is the main church of Bratislava, situated in the old town. It has got a huge tower of 85 mt, from the top you can look all around the city. 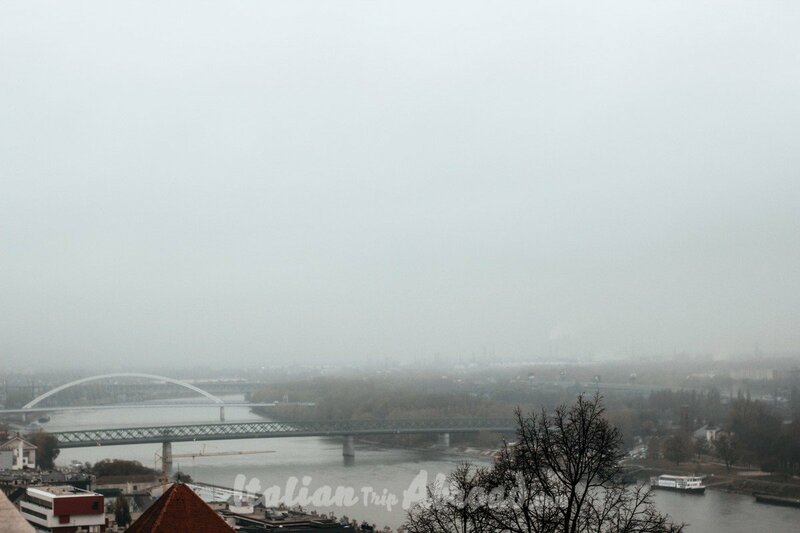 It is one of the tallest points of view of Bratislava, you can easily access to the top of the tower. The Cathedral is opened every day from 9 am to 6 pm, except on Sunday when the closing time is at 4 pm. To go up to the tower you don’t need to pay, but it is great to give a donation. It is one of the most suggestive places in the old town. It has been the oldest museum in Slovakia. If you feel good, and will climbing up the narrow stairs, up to the high tower, you will have a beautiful view of Bratislava old town. For sure climb, the Old Town Hall could not be in the list of unusual things to do in Bratislava, but it is a must to do in Slovakia, so be ready. The only preserved gate of the city fortification system dates back to the 14th century. The upper terrace of its 51-metre-high tower provides an enchanting view of the Bratislava Castle and the Old Town. The high tower is also the house of the Museum of Arms. It is absolutely a place worth to visit, it is best for taking nice shots and spend your time, it one of the best places in the Slovak Capital, it is a Bratislava top 10 attractions. The Grassalkovic Palace, spelt in Slovakian as “Grasalkočov palác, is an old palace of Bratislava. Actually, it is the official residence of the President of the East European Republic. The Residence of the President of Slovakia was built in 1760 for Antal Grasalkovic I, who gave the name to the palace. It was also the Hungarian head of the cabinet.The palace is in a late rococò style, with an amazing garden inspired to the French ones. It is not just a Bratislava sightseeing, but also a symbol of the pride of those people. Slovakia is a young country and you cannot miss one of the Bratislava top Attractions. 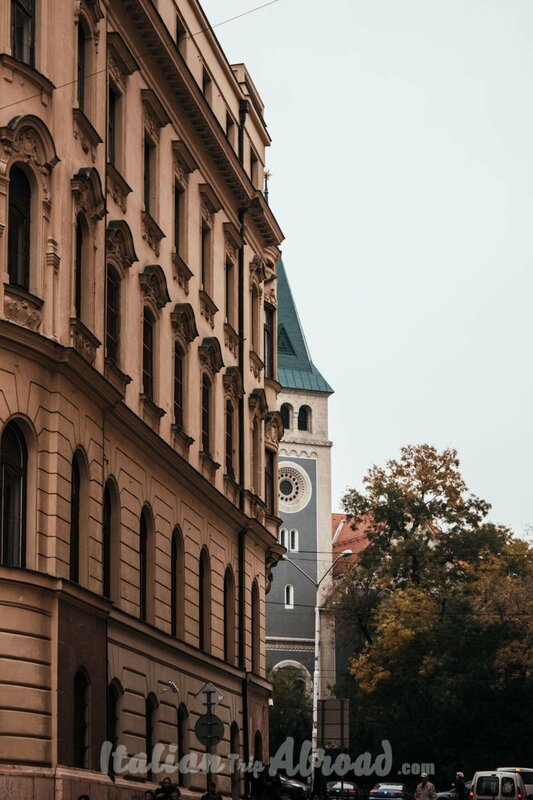 The Blue Church has built up its name between the photographer and tourists looking for instagrammable spots and top photo spots in Bratislava, thanks to its light blue colour of the facade. It is the Church of St. Elizabeth, it is a Hungarian Secessionist Catholics church located in the eastern part of Bratislava. It’s nice to visit the church, but also the neighbourhood. Is interesting to admire the mosaics and the majolicas of this church. The interior is really reached and finely decorated. If you have been to Brussels, probably you have seen the replica of the Blue Church of Bratislava in the Mini-Europe Park. The symbol of a Jewish Bratislava. The Slovakian Capital has a long Jewish history. The Synagogue of Bratislava is really special, constructed in 1923-1926, has a Cubist style and is a national cultural monument. Bratislava has an active Jewish community and for centuries was an important centre of Jewish life. The only remaining synagogue in Bratislava is in Heydukova street, it is easy to reach it from the old town and the city centre. You can easily recognise the Synagogue from the big facade with a tower, seven-pillared colonnade facing the street. The building is open to the public Friday and Sunday from 10 to 16, from 21st May to 8th of October, except Jewish holidays.You need to pay a small fee but visit the website for further information, maybe you are lucky and there is free entrance during your visit. The UFO is contending the title of the symbol of the city Castle. Anyway, the UFO is called like that because of its structure. It is an observation tower, unique, with a 360 view. On the top of the UFO, you will find a bar, a restaurant. It is at the top of the New Bridge. The restaurant on the top of UFO are posh and not cheap at all. The UFO is a real landmark of Bratislava and it represents the Republic of Slovakia in the World Federation of Great Towers. The Tower is open every day, Monday to Sunday from 10 am to 11 pm. For further information visit the website. 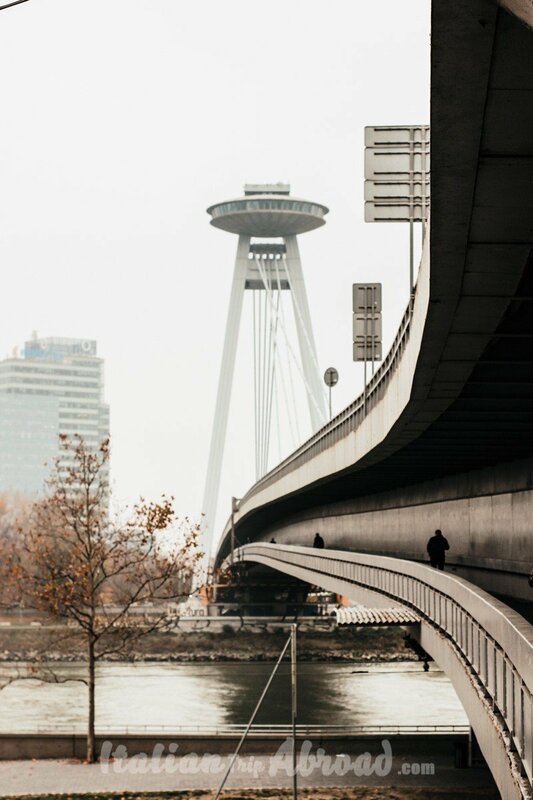 The Observation deck of the UFO would give you an amazing landscapes view on Bratislava and on the Danube River, it is really suggestive and could be easily in the list of things to do in Bratislava at night, be careful, this place is expensive! Not everyone knows, but Bratislava is a really artistic city. Every year is going an unusual Festival who has the main subject in the Street Art. 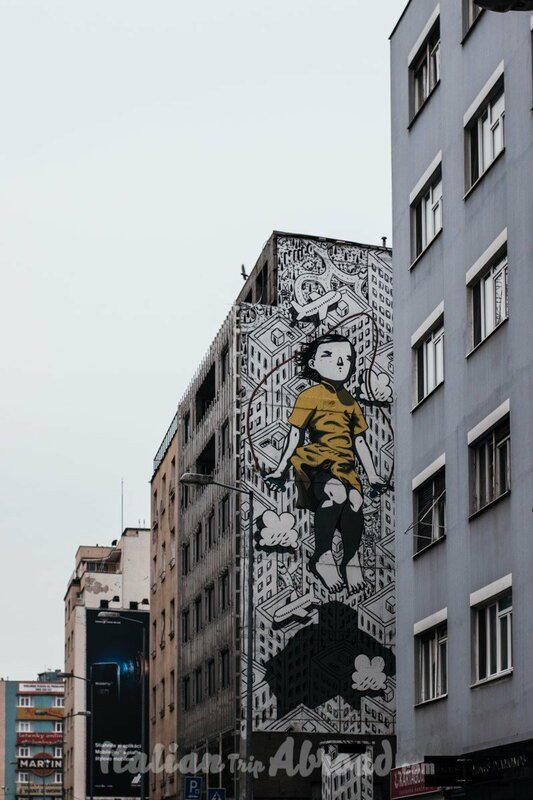 Every year some of the most iconic building of the city has been renewed with a characteristic street art. The festival starts every year during the summer. Check the events programs. The most touristy photographed piece of art in Bratislava are the sculptures located all over the Old Town. The bronze statues are in human size. The different touch this statue give to the city centre of Bratislava is really appreciated. The mission is to tell a story behind a statue. 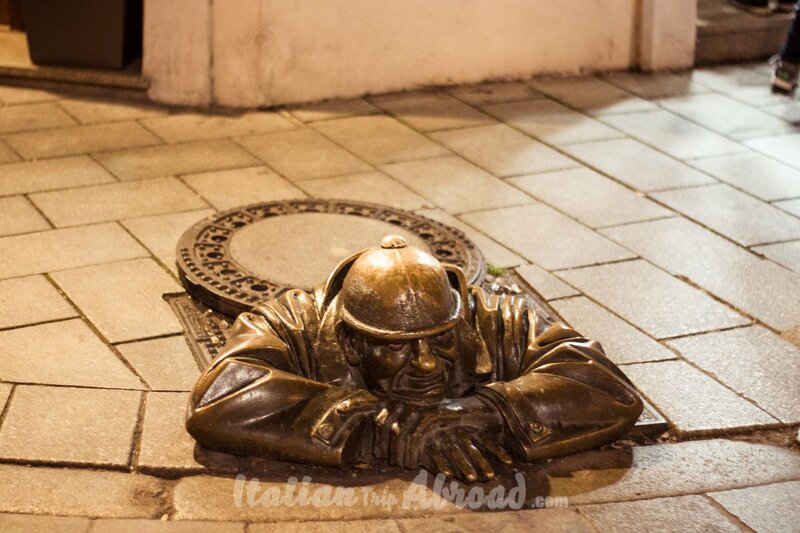 There is Cumil, the most known sculpture, coming out from a manhole on the side of the street, or you can appreciate the Napoleon Soldier. 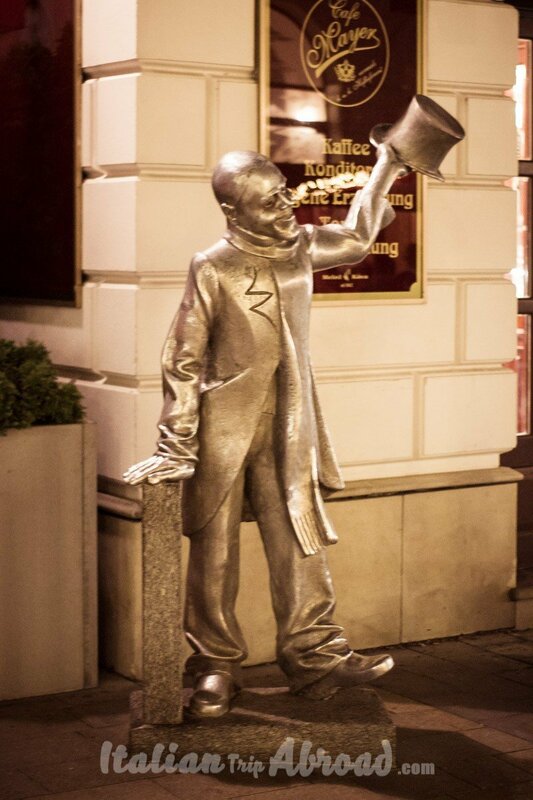 Try to find all the statues for sure will help you to rise all the top 10 places to visit in Bratislava. The statues are main Bratislava tourist attractions. 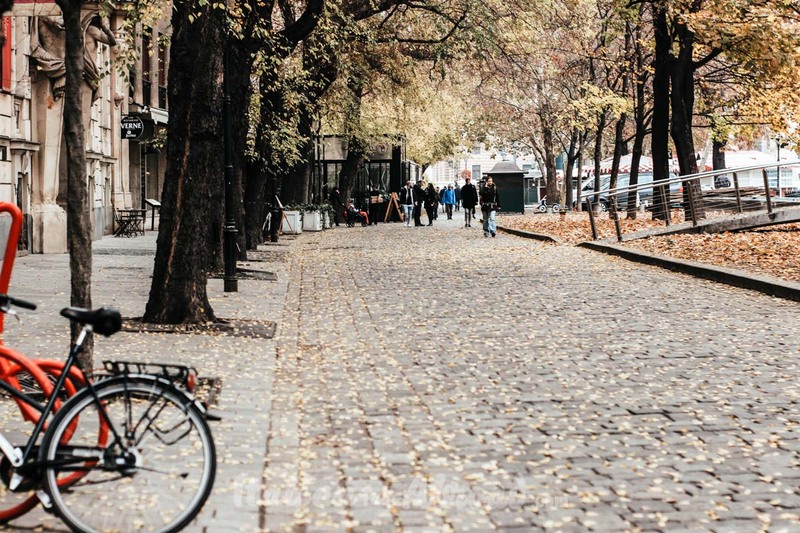 It will take you along with the Slovakian history and thought the alleys of Bratislava. 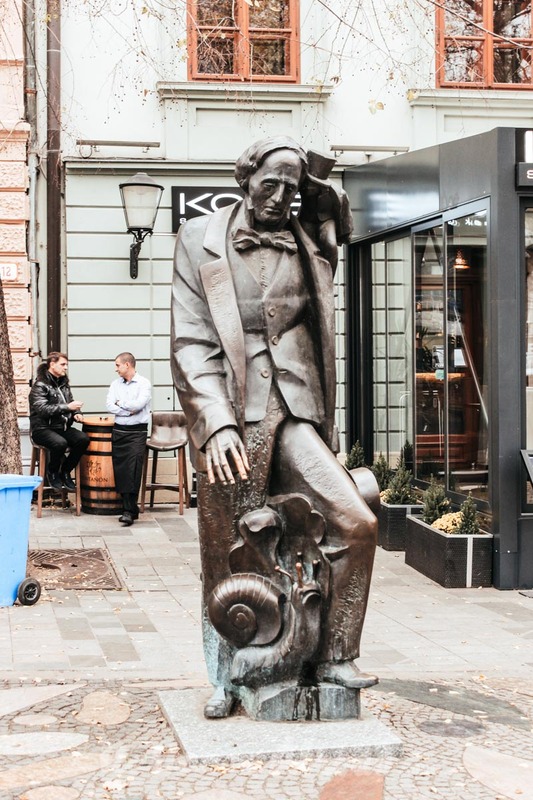 The statue of the famous Cumil is in the old town, it is on the side of the street and is impossible to miss it. It is at the junction of Laurinská and Panská Streets. Cumil, translate is “The Watcher”. It is a statue of a typical Communist Era worker. It has soon got the crown of symbols of Bratislava old town. There is a story of wishes and luck behind this statue. If you touch the head of the man, your wish will come true. The statue of a photographer is now at the UFO Restaurant. It is of a paparazzi in the action to shoot a photo of the people passing by. The statue uses to be on the side of a restaurant with the same name, but when it closed, the owner took the statue to another place. It is the only statue of Bratislava representing a real existing person. The representation of Ignac Lamar has a great legend behind him. This old man was living in Bratislava when the city now Capital of Slovakia was named Pressburg. Lamar was in love with a woman, who sadly did not love him back. The gentleman Lamar gets mad, the disappointing was too much. He started to give away flower to random women he met in the street. The statue of a Napoleon army is now in the Main Square, standing near the Old Town Hall of Bratislava. 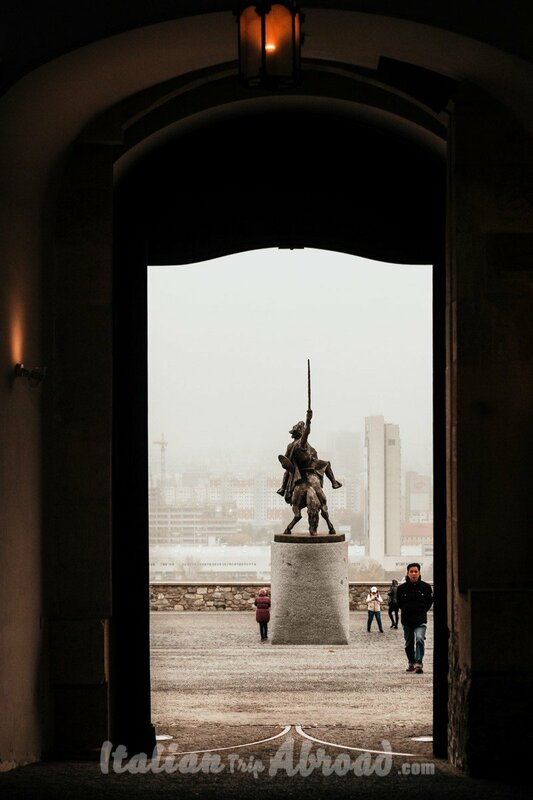 It tells the visitor a story about the conquer of Bratislava in 1805. But the story behind is even more interesting. The name of this Napoleon Soldier was Hubert. He fell in love with a Slovakian girl and decided to stay in Bratislava and became a sparkling wine producer. Now, the Hubert is the most popular sparkling wine in Slovakia.At this point, we can suggest you check for a wine tour in Bratislava. As you can see in Bratislava there a lot of Statue and a lot of form of art. In the square opposite the main shopping street, Hviezdoslavovo námestie is one of the most popular squares of Bratislava. On the side of this square, there is the US embassy. The statue of Hviezdoslav, the most important Slovak history, in the same square you can also find Hans Christian Andersen, the fairy tales author. Bratislava is not just cute and walkable, it is ideal for relaxing and a weekend escape from your city. A nice and cheap place where you can drink a beer for just 1 euro, or even an Ice-cream for the same price. It is the warmest place to spend your winter break. The famous Bratislava Christmas market attracts many tourists from all over, just to try the traditional mulled wine and chestnuts. 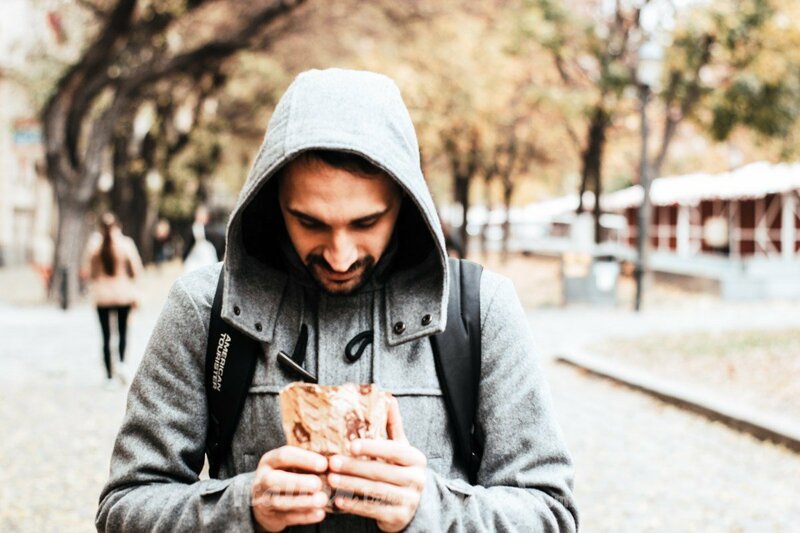 The traditional Slovakian food is really tasty, it is nice to try a dinner out, check the guide of the Career Gappers made for you. All around Bratislava the grapes tree has grown in the wine market, becoming a famous attraction in Bratislava, with a lot of wine tasting tour in the city and around. In this square in the end (See the photo up), you will find one of the top places to visit. We couldn’t take a real place in this list because it is not always open to the public. This is an absolutely Bratislava point of interest. It is the Slovak national pride with the Presidential palace. Just behind Hviezdoslavovo Square, there is the bus station, from here you can plan your day trip from Bratislava. From the River dock, you can plan your journey from Bratislava to Vienna by boat. 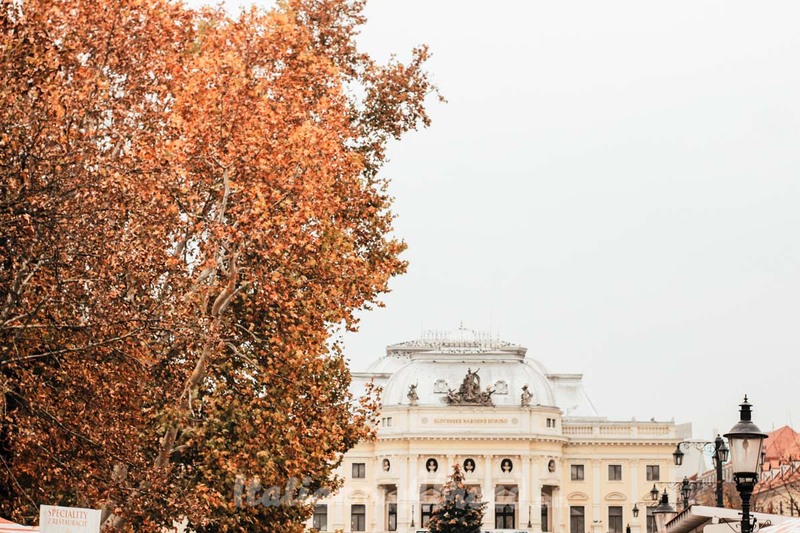 There are a lot of chances to enjoy a Bratislava one day itinerary, there are a lot of things to do in Bratislava, you can plan ahead a wine tour, a full day through the Slovakian History or an escape to Budapest, just 3 hours away. Sorry for asking, but what is #4? 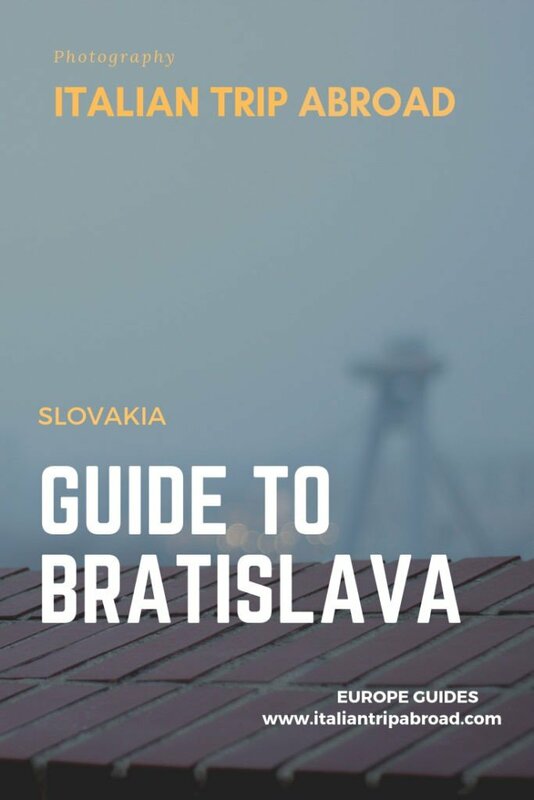 We lived in Bratislava for a year and a half before moving back to Sweden and it is a nice list you got. For a one day stop these are sights you really should see. Myself I would add 4 more sights that is a bit further away. 1. Slavin War Memorial, on the hill next to the castle hill. 2. Bunker BS-8, one of several WWII bunkers along the Austrian border, remember that the border is within walking distance from the old town. 3. Border Tripoint, a bit further away, but it is here that the borders os Slovakia, Austria and Hungary meet. 4. Devin Castle, nice ruins overlooking the Danube. Just a short bus ride away.